INFANT BAPTISM PREPARATION Parents presenting their first child for Baptism at Our Lady of the Lake are required to meet with a member of the parish staff. Arrangements and preparations are made with the Pastor in face-to-face meetings. In addition to scheduling the Baptism, they will discuss the sacrament itself and ways to maintain Catholic values and traditions in their family so that faith can be more fully integrated into their home. SCHEDULING The celebrations of Baptism take place at regularly scheduled parish weekend Liturgies (with Fr. Joe) on select Sundays each month. Since Lent is a season of preparation for baptism, there are normally no baptisms during the season of Lent (Medical emergencies are an exception). Please contact Fr. 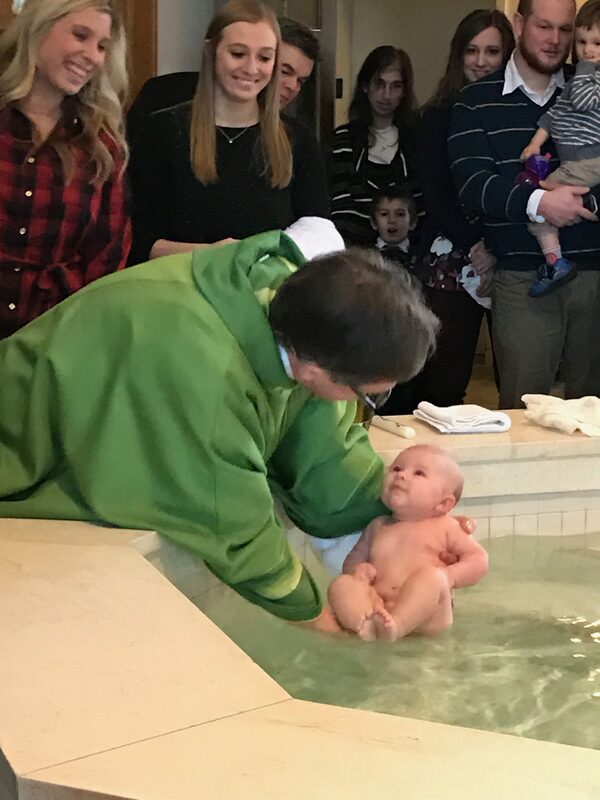 Joe to schedule Baptism for your child. GODPARENTS Godparents (also called Sponsors) play a very important role in Baptism. They stand beside the parents and promise to assist them in raising a child in the Catholic faith. The Church takes this role very seriously. Godparents must be fully initiated adults, age 16 and older, (i.e., they must be baptized, confirmed and have received first communion) and must be practicing their faith. If they are not members of Our Lady of the Lake Parish, they must obtain a sponsor certificate from their parish.